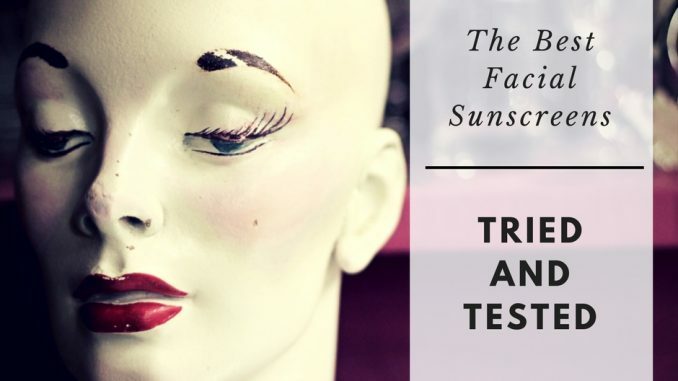 Now that there’s an eensy weensy bit of sun coming out, you might be thinking about applying a facial sunscreen along with your skincare. In which case you would be WRONG. Because if you want to protect your skin fully from the effects of sun damage, you need to be slapping on the SPF all year round. Even if it’s not sunny. Even if it’s winter. Even if you’re spending the weekend in an underground bunker and not coming up for air. Just make it a daily habit. And don’t forget the backs of your hands while you’re at it. Trust me, you’ll thank me for this in a decade. Primer counts as make up, BTW, as does foundation or BB cream. You might have a bit of SPF in your base make up, but it won’t be enough, so think of it as an added bonus. These are all products I’ve used and would recommend. Where I’ve done a full review, I’ve linked to it. Review products are marked with * and the rest I bought myself. Ultrasun Face Anti-Ageing Sun Cream for Sensitive Skin – This is what I’m using right now, thanks to a sample size from the M&S Advent Calendar. I like it a lot and will probably buy the full size version. It’s lightweight and water resistant but also works well under make up and doesn’t pill. Lucy Dorling has a good review of this and others in the Ultrasun range here. There’s also a tinted facial sunscreen from Ultrasun which you can see reviewed by Hannah here. Jan Marini Face Protectant* – This is what I used last year, and again it works well under make up. It has a delicious tropical scent and is highly recommended. Elizabeth Arden Prevage City Smart – I won this in an online giveaway, so I wasn’t expecting much and was surprised at how good it was. For an SPF 50 product this has an incredibly thin, serum-like texture and doesn’t leave the white cast on the skin which high SPF products often do. Biore Watery Essence – This is a pretty legendary Japanese facial sunscreen, loved all over the world. It’s lightweight and easy to apply, and I will be able to tell you more once my order arrives from eBay. You can usually pick this up for under £10, so no excuse not to stay sun protected all year round. La Roche Posay Anthelios SPF 50 was recommended by multiple people for its effectiveness and lightweight feel. bareMinerals Mineral Powder Sunscreen is obviously a very different product, since it’s a powder, but I do like the way it applies with a twisty up brush. Check out Adele’s review of this and others here. Pixi Sun Mist with Chamomile & Bamboo Extract SPF 30 – This was news to me because I didn’t even know Pixi did sunscreens. Every day’s a learning experience. Check out the full review from Dorota here. Frezyderm Velvet Face SPF 50 – Didn’t know this one either, but it sounds pretty good. ReeRee has all the details here. Garnier Ambre Solaire Sensitive Advanced Protecting and Hydrating Mist – This SPF50 mist is so light it can even go on top of make up. Find out more from Dani here. Natural and Organic Sunscreens – Petra’s got some great recommendations for you here. 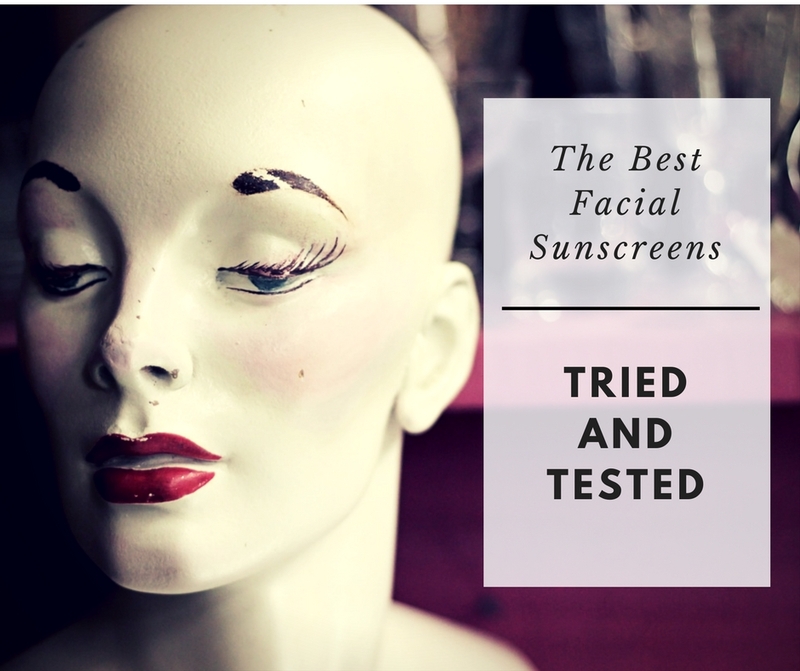 More recommendations – If you’re looking for sunscreen, you came to the right place. Check out Anisha’s recommendations here. Even more! – Amellia Mae has a great roundup, plus some of the science behind sunscreen here. Plus a few more for good measure from Ewa here.